Titan Engineering was an Auburn success story until the recession hit. Then the bottom fell out for owner Titan Gilroy. 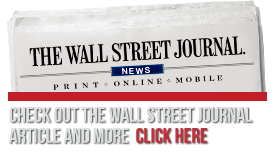 His company, which made titanium, fiberglass, plastic and aluminum parts for deep-sea robotics, stopped getting contracts. That meant laying off employees and moving what he could save to a smaller facility in Grass Valley in 2009. It was just one more pothole in the road for Gilroy, who experienced homelessness as a youth and even a stint in prison in his early adulthood. In 2010 he started to rebuild and four years later, he is roaring back. His business, now called Titan America, is again busy filling contracts – this time machining parts for the aerospace industry. 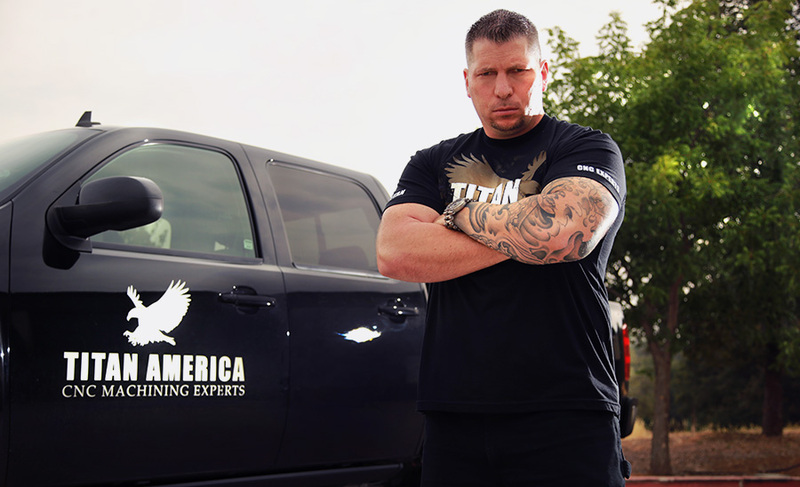 And Gilroy is putting that expertise on view with a reality show, “Titan American Built” that begins airing Friday on MAVTV. The 13-episode, hour-long show is the culmination of Gilroy’s dream to showcase U.S. manufacturing. The drama derives from the short deadlines. “We have four days to get something done that would normally take eight weeks or be impossible to do,” he said. Gilroy created the concept for the show and writes the scripts. He owns the production company and hired the camera and audio crew. 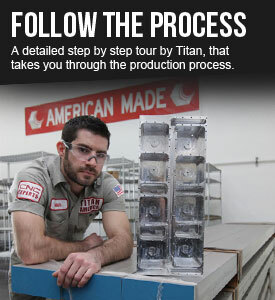 The team appearing in each segment is comprised of Titan America machinists and other employees. Among the sponsors are Autodesk, a San Rafael-based company that makes 3D design software; Haas Automation, a machine tool builder in Oxnard; and Stratasys, which manufactures 3D printers. The sponsors’ products are integral to the show’s production. Autodesk software programs the machines Gilroy uses in the manufacturing competition. The robotics machines are from Haas. Stratasys’ 3D printers are used to create machine parts, he said. Through an agreement with the sponsors, Gilroy is also taking time on the reality show to support causes that have a special meaning for him. Episode No. 3 features him donating a 2014 Chevy Traverse to Acres of Hope, the Auburn non-profit that provides shelter and other resources for homeless women and children. “(Growing up in Hawaii) I was homeless with my mom on the beach,” he said. At Acres of Hope, Development Director Michael Harper said he is grateful for the much-needed gift. “He reached out to us through a local church organization. We subsequently set up a meeting with him and his wife and shared a bit more about our program at Acres of hope and we also heard about his own life story,” Harper said. “… After we had shared our biggest need was transformation – and still is – he provided the vehicle we need for women and children’s transportation in our program. In the second episode Gilroy makes a donation of software, computers and 3D printers to the Maxine Singer Youth Guidance Center in Marysville, he said. On Friday, there will be a red carpet event for Gilroy’s show at the Autodesk building in San Francisco, he said.